Minecraft is a great and addictive game that is highly appreciated by worldwide users, whether we are talking about portable and touch-based handsets, or even desktop devices. Unfortunately, many users reported Minecraft errors under Windows 8.1 and Windows 10, especially of Nvidia graphic cards and especially after updating the Windows OS. As you can already tell, we are facing with some graphic card incompatibility as the Nvidia drivers can’t properly “communicate” with the Windows 8 and Windows 8.1 system. But, don’t worry as you can still play Minecraft on your Windows based device as we are here to help you out. Of course this is not the only Nvidia graphic card incompatibility reported by Windows 10 users as some customers also complained about some HDMI issues, which can also be addressed by using a dedicated tutorial (just click on the link from above). Anyway, if you want to fix the Minecraft problems and get back on track, then don’t hesitate and apply the guidelines from below. 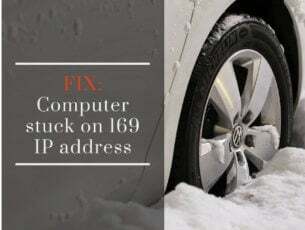 This troubleshooting solution can be applied within a few minutes and can be easily completed even by a newbie so you have nothing to worry about. Regardless of the issue you’re currently facing, the very first thing you should have in mind when dealing with that particular problem is keeping your game updated. 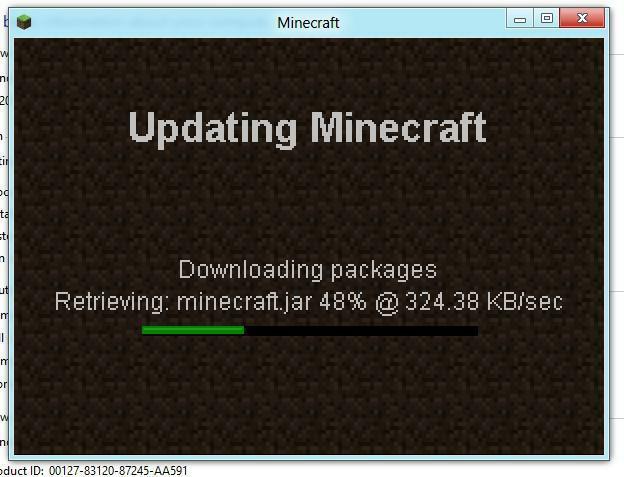 Because installing the latest possible version of Minecraft may solve a lot of problems. First of all, on your device install Java package. 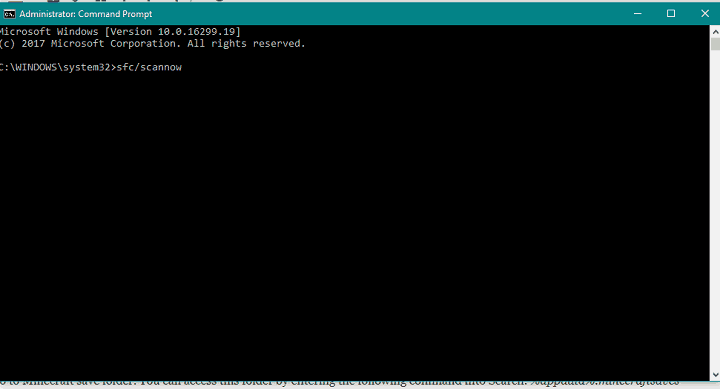 You should apply this each time you receive the “This Application Requires A Java Runtime Environment 1.5.0” error message on Windows 8 – download Java from here. Open Minecraft and login with your personal account. Then apply the latest updates, if there are such. Now, if “bad video card drivers” alert is being displayed, just go to your Start Screen and follow the rest of the steps from below. Press “Wind + X” dedicated keyboard keys and run Device Manager. From there head towards “Graphic Drivers” and uninstall your Nvidia drivers. Then go to your manufactures official web site (for example Acer, HP, Dell, and so on) – not on the Nvidia web page. 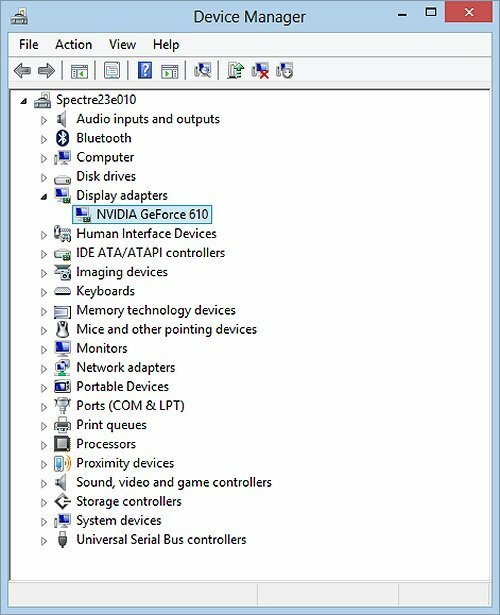 Download from there the drivers indicated by your manufacturer and in the end install these drivers even in Compatibility mode for Windows 7. 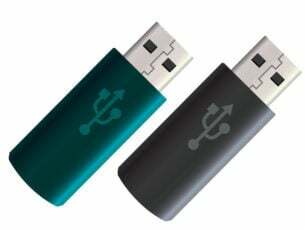 We also recommend this third-party tool (100% safe and tested by us) to automatically download all the outdated drivers on your PC. In the end run Minecraft one more as you are done. Good job; you now know how to make Minecraft work on Windows 8, or Windows 8.1 when using a Nvidia graphic card driver. If you like to experiment with Minecraft mods, but can’t install your favorite mod, just change the approach. You’ve probably been installing mods the old-fashioned way (putting mod files into Minecraft by yourself), which is prone to errors and issues. Instead, you should use a handy little program called Forge. Forge basically doesn’t all the work for you. You just need to put the mod you want to install into Forge, and it will automatically implement it in the game. Saving you a lot of time and effort. You can download Forge for free from this link. If you’re still unable to play the game through LAN, make sure everything’s alright with your internet connection. 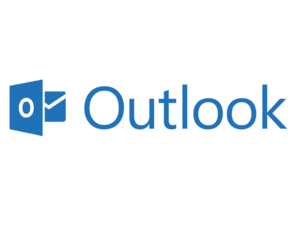 In case you find out that something’s wrong, check out this article to solve the internet connection issues in Windows 10. If your computer doesn’t meet the minimum system requirements, you’re lucky to even launch the game. So, if you don’t have a computer powerful enough to play Minecraft, consider upgrading your hardware. Save these settings, and you’ll always start the game with 2GB of RAM. If you want to allocate more ram, simply replace 2048M with the amount of RAM you want to allocte. 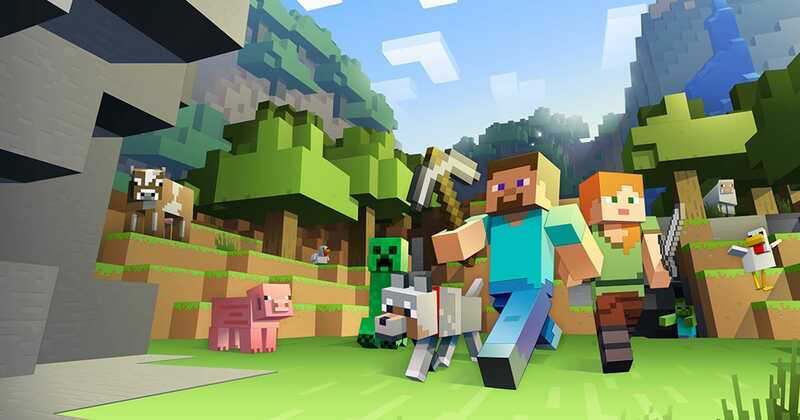 As Minecraft is powered by Java, you’ll need its latest version to run the game smoothly. You can download the latest version of Java from here. Check out our article about fixing Minecraft crashes for more detailed info. Open the save file that Minecraft doesn’t recognize. Now, rename the file level.dat_old to level.dat. This error code appears when the Minecraft launcher fails to launch the game. The solution for this issue is disabling your antivirus program or Windows Firewall. 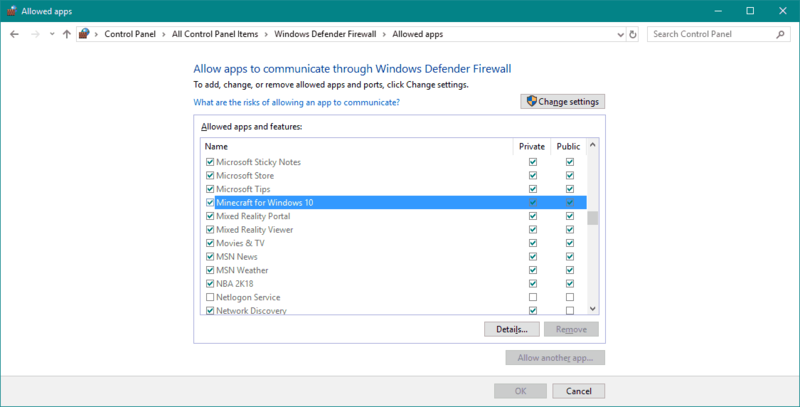 Type Firewall in the Windows Search bar and open Windows Defender Firewall. Click on Turn Windows Firewall on or off in the left pane. 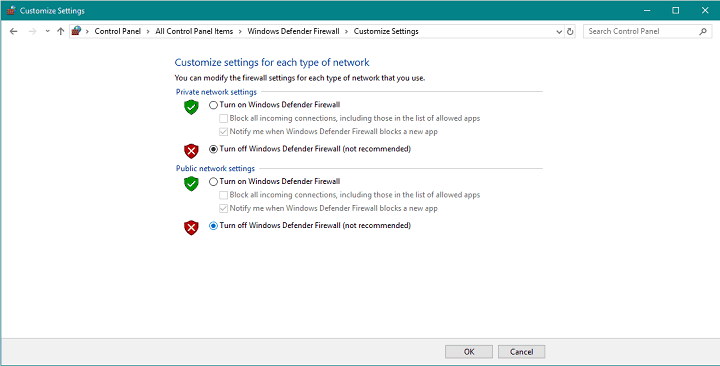 Disable Firewall for both Private and Public networks and confirm changes. Try running Windows Store apps again and look for the error. It’s also recommended to reinstall Minecraft upon disabling Firewall. Once this issue is resolved, we recommend turing your security solutions back on. In case you’re not sure how to do some of these, we have a full guide about fixing this issue. So, you’ll find detailed explanations there. Check if any programs are blocking outgoing connections. If you’re unable to chat inside the game, you need to change the Chat settings to Show. If you’re not sure how to do that, check out our complete guide about changing chat settings in Minecraft. If you receive this error, there’s a chance Mojang‘s servers are down. Check the server status here. If the servers are down, the only thing you can really do is wait for the to get back online. That’s about it, we certainly hope this article helped you resolve that Minecraft error that has been bothering you lately. If you have any comments, questions or suggestions, just let us know in the comments below.